In light of digital transformation, organizations have been searching for the right balance of traditional, private and public cloud deployments. On top of that, as connected devices continue to multiply, apps and data at the edge are taking on greater levels of importance – resulting in highly hybridized IT environments. With these highly distributed IT environments come countless management and complexity challenges, but having a management plan in place can ease the burden on IT. 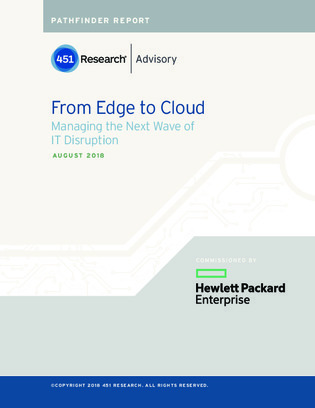 If you want to stay afloat during this new wave of IT, download this report for eight essential steps towards managing an edge-to-cloud hybrid environment.